Each of these events could result in mold developing and growing in different areas of the home. In some cases, you may not even realize there is a problem until you notice signs of water damage or the presence of mold. However, when it comes to insurance coverage, not all water damages are always covered. Many people are surprised when they submit a claim and their insurance company is quick to deny it. The reason for denial, in most cases, is because it is not covered as part of your homeowner’s policy. What Types of Water Damages Are Covered by Insurance? Typically, storm-related water damages are a peril covered by your homeowner’s insurance, although, in Florida, for water damage caused by tropical storms and hurricanes you must have a separate hurricane insurance policy. Furthermore, for water damage caused by floods, including storm surges, you must have a separate flood insurance policy. Water damages from bursting or breaking plumbing lines are also another type of water damage covered by most homeowners’ insurance policies. Since the pipe failed unexpectedly, then the resulting water damage is covered. 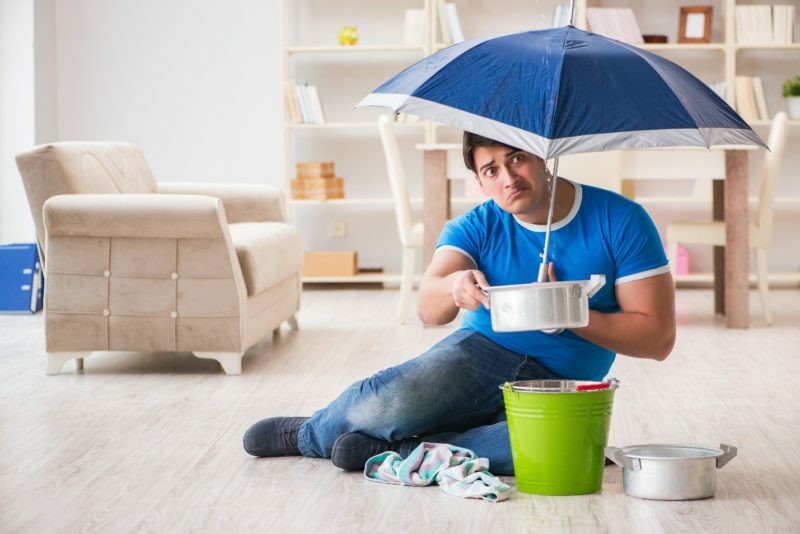 What Types of Water Damages Are Not Always Covered by Insurance? 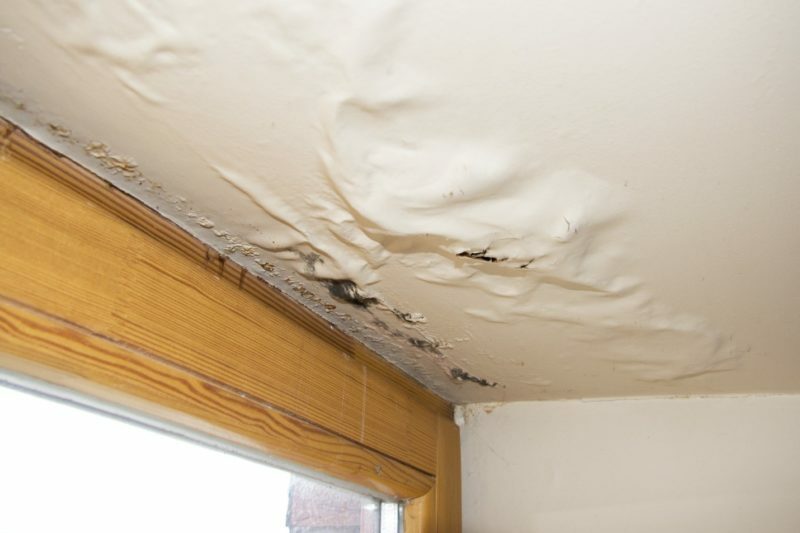 Roof leaks which result in water damages may not be covered. For instance, your roof is 20 years old and needs to be replaced. However, you decide not to get a new roof and several water leaks develop. You notice the leaks and file a claim with your insurance company and it is denied. The reason for denial is because normal wear-and-tear is not covered. In other words, you have a duty to perform regular maintenance on your home like having a new roof installed when the current one wears out to prevent damages. The only exception to roof leaks would be in cases where damages to your roof were storm-related. In this case, those damages would be covered under your insurance policy if you have water damage peril coverage and/or hurricane coverage. Other types of water damage that is not always covered are leaking plumbing lines. If you are aware that a water supply line or drain is leaking but do not get it fixed, the resulting water damage is not covered. Yet again, there can be an exception in cases where the plumbing lines are in the walls or areas not easily accessible. Gradual water damages caused by a leak behind a wall may be covered. What Types of Mold Damages Are and Are Not Covered by Insurance? Generally, standard homeowners’ policies with perils coverage do not include mold damages. For example, the grout in your bathroom has deteriorated and is falling out. You do not have the grout replaced, mold starts growing, and it becomes a major problem. Since you failed to perform normal maintenance, your insurance company would deny a claim for mold damages. The exception to this is when the mold is a result of a covered peril. For instance, a water pipe bursts and water soaks into the drywall, floorboards, and insulation inside a wall. Any mold that develops in the area where the pipe burst would be covered. Another exception is if you have mold, fungi, and bacteria coverage. Many insurance companies offer this protection as a separate policy you can add to your primary coverage. If you have this protection, then most types of mold damages, but not all, are covered. Floods would be yet another exception where mold damages would be covered so long as you had flood insurance. Mold damages that are related to water damages caused by a hurricane would also be covered. As you can see, whether mold damages are covered by your insurance will largely depend upon what types of coverages you have. There are some essential things you will want to do when you want to file a claim for mold and water damages. Turn off the water to the affected area. If the water damages are from a leaking or broken pipe, shut off the water. Insurance companies will not pay for continued damages because you failed to take steps to prevent further damages. Take pictures and videos of the damages. You will want to document all damages prior to cleaning them up. This includes cleaning up excess water from the floor. Clean up excess water from the area. Once you have documented everything, go ahead and work on drying out the area. You want to remove as much water as you can to help limit and prevent mold growth. For carpeting, if it is completely drenched, you may want to call in a professional for assistance in water removal. Treat the mold to stop it from spreading. You will want to use a treatment method that will stop the mold from spreading. However, you should avoid cleaning it up until after you have filed your claim and are instructed to do so by your insurance company. Get insurance claim help from an insurance claim lawyer. Prior to contacting your insurance agent or company, it is highly recommended to call an insurance claim lawyer. Your lawyer will visit your home, assess the damages, and let you know how much you should receive from your insurance company. You can also utilize their services to file your claim and represent your interests to ensure you get the best settlement possible. After a claim has been filed with your insurance company, you or your claim lawyer should hear from them within a day or two. They will provide details about any responsibilities you have like preventing further damages to the area. They will also provide you the name of your claim’s representative and claim adjuster. The insurance company has up to two weeks to investigate the claim. While you are waiting, it is important to not make any repairs other than temporary ones to prevent further damages. If you spent money on making temporary repairs, retain the receipts, as you can add the costs to your claim. If your insurance company requests any documentation of damages, like the pictures and videos you took, you need to supply those in a timely manner. They have up to another two weeks after receiving your documentation to review it. At some point, expect an adjuster to call and schedule a time to come view the damages. The adjuster will perform their own assessment and report their findings directly to your insurance company. Their report will contain details about what repairs are necessary and an approximate estimate of the costs. Once your insurance company receives this report, they will make a final decision on whether to approve or deny your claim. If they approve your claim, they will let you know the amount they will pay for the damages, minus your deductible. Normally, the insurance company will issue the payment within a week of approving the claim. Keep in mind there may be a second check issued later, once the repairs have been made and completed. Sometimes the estimate the adjuster arrived at does not always match current market prices. As such, your contractor’s costs may be more. In this case, then you would file an addendum to your original claim for the difference and wait for approval prior to starting repair work. Once approved, the insurance company will issue a second check for the cost difference. After all the repairs are made, your insurance company may require the work to be certified by a professional. Certifications are normally included in the estimate you received from your contractor. Certifications let the insurance company know the repairs were made and are up to current building codes. If your insurance company denied your claim, you have a right to request the reasons for the denial. Your insurance company must provide this in a timely manner—often within a week of the denial. You can appeal their decision, but there is a time limit to do so. The appeal process can be a long, drawn-out, and complex process. It is highly recommended to get homeowner representation from an insurance claim lawyer. Your lawyer will review your policy to determine if the water damages should have been paid and how much. They also review the reason for denial. In addition, having a lawyer represent your interest can help move the appeal process along faster. The best way to avoid having to go through the appeal process is by getting insurance claim help at the very beginning from a qualified lawyer. Please feel free to contact Silver, Bass, Brams & Daniels at 1-888-897-1786 to schedule a consultation with one of our insurance claim attorneys today!